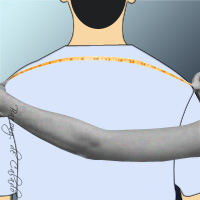 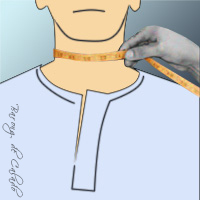 Measure from center back of the neck, down to the bottom of your rear-end. 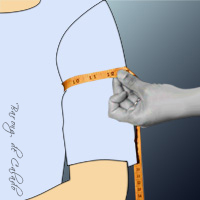 Measure with arm at your side, from the tip of the shoulder to the mid-palm of your hand. 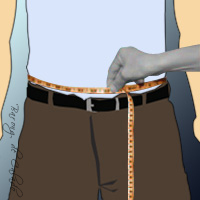 Do you want to include Pants Measurements? 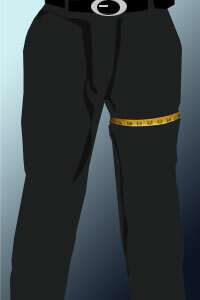 NO, Don't include Pants YES, with Pants measurements. 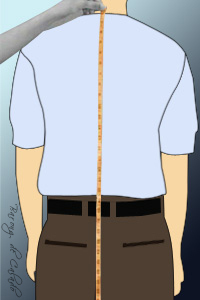 Measure from the top of your pant's waistband to the floor along the outside of your leg.Make sure the tape is tight, that you are standing straight, and then measure. 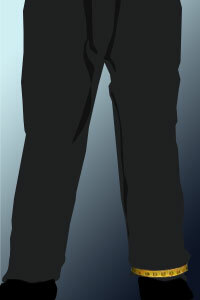 No shoes please! 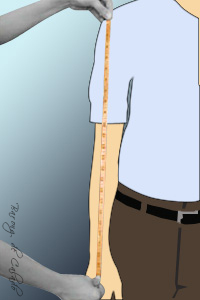 Double check this measurement. 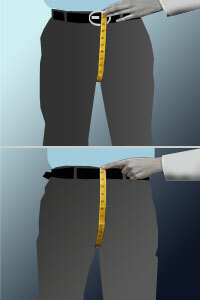 Measure from the front top of the pant's waistband to the back top of the pant's waistband.Make sure not to take this measurement too tight. 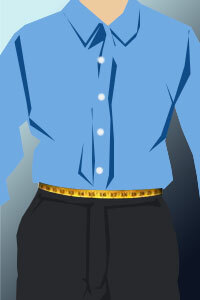 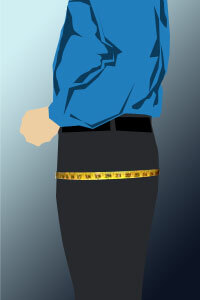 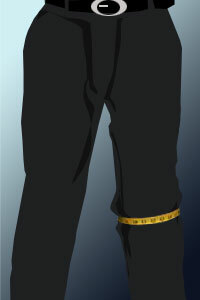 Measure around your waist at the level where you would normally wear your pant's belt.With the tape measure snug around your waist, relax, and take the measurement.Don't be alarmed if this measurement seems larger than expected; off-the-rack pants are normally labeled as being smaller than what they really are. 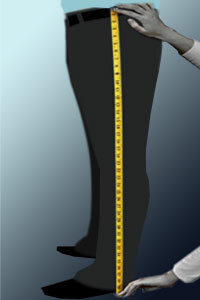 Measure around your thigh at its widest point.You need measure only one side. 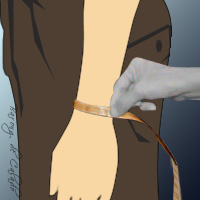 Measure around your knee at its widest point.You need only measure one side. 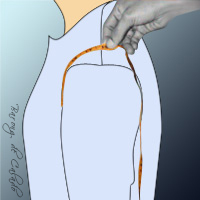 Measure the seam that runs from the crotch down the inside of the leg. 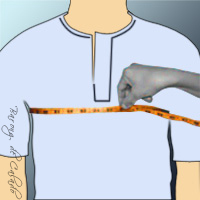 This is the inseam. 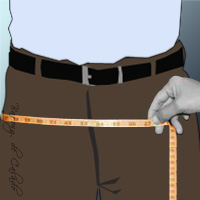 Measure the inseam on a pair of pants you already wear, then measure the pants you are going to hem to make sure your measurements are correct.